“I wanted to thank you and your team for an excellent set-up last week. We have received lots of positive feedback from the client and guests about how the room looked and the quality of the displays and these were enhanced enormously by the lighting. 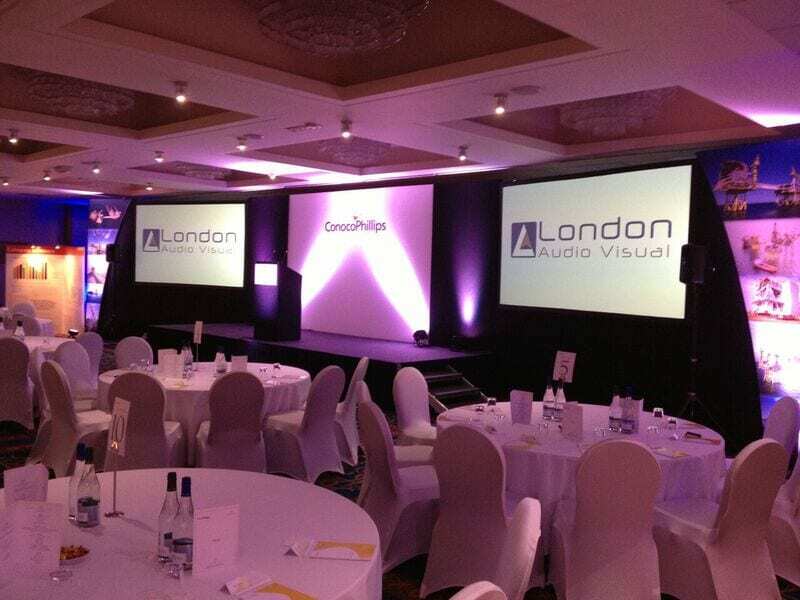 The stage set looked lovely, exactly as you had described and I’m really pleased to say we had no hiccups with any of the presentation, sound or lighting on the day – all down to the professionalism of your team. Technical production included; Stage and set design, Projectors and Screens, PA system and lighting.